Are you seeking for the perfect leather sofas for your home in London? 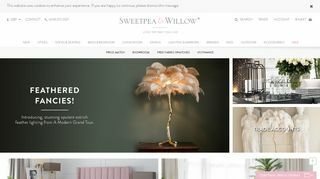 Your all desires can be fulfilled by visiting Sweetpea & Willow as they are one of the well-famed furniture retailers. They offer you a high quality range of sofas and seating that are the best blend of elegance, style and comfort. They offer you a plenty of options to help you turn your house into a home of your dreams. Their leather sofas are available in different colours, shapes, styles, etc.